Police have issued a warning about icy conditions after several crashes on the county’s motorway network. One driver was seriously hurt in a crash on the M6 near Charnock Richard earlier this morning. 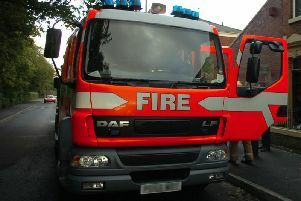 The northbound carriageway was closed for around 40 minutes while fire crews extracted the injured person from the car. They have now been taken to hospital with injuries described as “serious”. There were also multiple crashes on the M65 between junctions 4 and 7 and a crash on the M61 southbound between junctions 6 and 8. Lancashire Roads Police tweeted: “Multiple Road Traffic Collisions owning to black ice and drivers not accounting for conditions.